I recently received notice that yet another publication had released its ranking of top graduate programs. Various types of programs from around the world were ranked either numerically or in tiers based on things like “Faculty Quality,” “Class size,” “Price” and “International Diversity.” Barring some overlap among schools with multiple programs across the different types of rankings, it seems about 300 or so schools were ranked overall. Of course, we were on that list, as one of our programs was ranked among the best in the world. Now, I enjoy seeing us ranked as much as anyone, and I appreciate the recognition that such rankings bring. But, I’m not writing to brag about the ranking. In fact, I’m not going talk about this specific ranking at all; we’ll save that for another time. Instead, I want to talk about rankings in general. To begin, I want to make a few things clear. First, more information is always better than less. So, I don’t blame anyone for publishing rankings or for following them. If a ranking offers new or better information, then it serves a purpose. Second, many of the things that go into a ranking are very important. Faculty quality is an essential component of a good program, as are diversity and class size. The problem is, while these things are all important, they are not all easily measured, nor are their effects well understood. Take class size, for example; are small classes uniformly better than large ones? No, I don’t believe they are. That’s especially true in graduate programs in which personal and professional experiences are so important and so much of the learning occurs through peer-to-peer sharing. Finally, the ultimate goal of education is impact. We want to change the trajectory of people’s lives by giving them the tools to perform in the business world and the confidence to lead successfully. Can we reduce that entire process to a single formula that will work for all of the various audiences, settings and professional specialties? No, probably not. All of which brings me to my point. As an institution, we will never simply chase rankings. Rather, we view rankings as an imperfect reflection of an underlying reality. That reality is the impact we are having on our students, alumni and the business community. Are we changing lives for the better? Are we solving tough problems, promoting innovation and producing graduates who are demanded by the marketplace? Are we attracting good talent and creating the sort of vibrant and aspirational culture good people will find stimulating? If we are doing all of that and doing it consistently and well, then good rankings are a natural result. And so, we don’t chase rankings. In fact, we don’t even celebrate them much. Rather, we focus on impact and on doing the things we do. The results, then, speak for themselves. When local realtor Paul Newman (MKTG, ’05) began college at Georgia Southern University in 2001, the Florida native never imagined that Statesboro would become his home, nor to becoming the official real estate agent of Georgia Southern Athletics. Newman is the owner of Statesboro Real Estate, which is the number one independent real estate agency in Bulloch County, according to Georgia MLS rankings. His company is third overall in total sales. Also, Newman is a partner with Stephanie Anderson with PMG Rentals, a real estate rental management company. 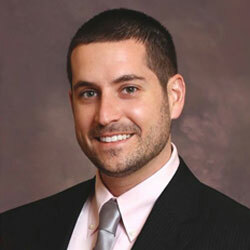 While pursuing his degree in marketing and sales at Georgia Southern, Newman also worked as the leasing agent for Campus Club which was a large student apartment operator in Statesboro at the time. Upon graduation, he signed on with Coldwell Banker and helped manage their rental management company. Over the next decade, Newman and Anderson purchased the company. After the purchase of PMG Rentals, they built a new office in the Market District at 1550 Brampton Avenue and relocated the business there in 2015. Also in 2015, Newman founded Statesboro Real Estate, which operates in the same building as PMG Rentals. In addition to a beautiful new office in the Market District, Newman and his team have led the way in innovations from web marketing to the creative use of drones to help market real estate. These differences have really set him apart. Newman is quick to point out that his success is a direct reflection of the talented pool of realtors on his team that includes Michelle Franklin, who is ranked as the top realtor among women in Bulloch County. Shea Dooley is the office manager and realtors Llyssa Green, Jamie Marsh, Cameron Smith and Hwai Wong round out the team. 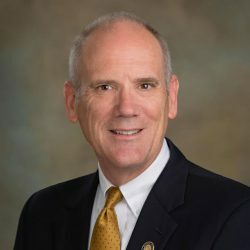 “My goal is to continue to grow both companies and hire as many [Georgia Southern] graduates as possible. It is such a great time to be in real estate, and I look forward to helping create the opportunity for others that Jack Connor and so many others helped create for me,” Newman said. Statesboro and Bulloch County had one of their strongest years in 2017 real estate sales. All indications project another banner year in 2018 for the Bulloch County real estate market. We are fortunate to have so many talented leaders in this industry. It is great to have the opportunity to spotlight innovators like Newman and Anderson who continue to lead through creative marketing and old fashion relationships backed up with great customer service. 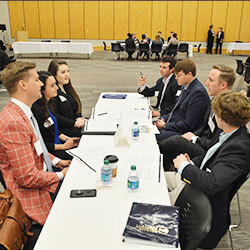 On Tuesday, February 27, 2018, the Center for Sales Excellence at the Georgia Southern College of Business hosted the second annual Eagle Sales Showcase Boot Camp. The event brought about 22 employers from 12 companies to campus to speed interview marketing sales and sales management students. The Eagle Sales Showcase Boot Camp, in conjunction with sales and recruitment leaders from a variety of industries, helps prepare and engage students pursuing a career in sales. The event highlights several key career topics and consists of small-group breakouts and interactive sessions with participating sales professionals and recruiters. The event started with registration and networking at 8 a.m., followed by a welcome from the Center Director Linda Mullen, Ph.D., associate professor of marketing, and the first speed-interview question. Each group of students answered a total of eight questions with different recruiters. Each speed-interview session lasted 25 minutes, allowing the students to gain advice from the perspectives of different recruiters. Once each group of students answered the last question, a networking and lunch session concluded the event. Within professional selling, it is vital to offer sales students the opportunity to engage with sales practitioners in order to provide a holistic view of the field they will soon enter. These interactions provide students with viewpoints from those who are currently working in the fields they aspire toward. Sales professionals are able to provide advice, tips and unique perspectives on what it takes not only to get a job but to excel in sales. “The [boot camp] is designed to prepare students for a successful college-to-career transition,” stated Mullen. 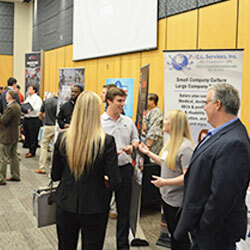 The biannual Logistics Roundtable, with support from the Department of Logistics and Supply Chain Management and the student-run Georgia Southern Logistics Association, was held on Tuesday, February 27, 2018, prior to the spring Eagle Expo Career Fair. About 35 companies and more than 165 juniors and seniors majoring in logistics and intermodal transportation interacted with recruiters and other logistics professionals during break-out sessions followed by a career networking event. 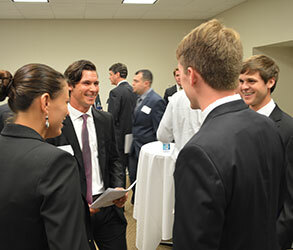 The networking event allowed students to explore internships and career opportunities. Some of the hot topics during the break-out sessions were how the truck driver shortage is affecting 3PLs and privately-owned fleets; how firms are recruiting new drivers, retaining current drivers and developing relationships with contracted drivers; and technology changes in the industry and how new technology and increased efficiency might make up for lost capacity (autonomous trucking); among other topics. Professionals representing third-party logistics (3PL) firms, manufacturers, warehousing companies, distributors, motor carriers and major retailers provided students the chance to gain valuable insights into logistics, transportation and supply chain career opportunities. The Departments of Finance and Economics hosted its Meet & Greet event for finance and economics students following the Eagle Expo Career Fair on Wednesday, February 28, 2018. Twelve companies representing various financial services firms including Gulfstream Aerospace, Georgia Department of Banking & Finance and Sea Island/Synovus Bank, among others, participated in the event. More than 50 finance and economics students networked and followed up with contacts they made during the Eagle Expo earlier in the day. During the weekend of February 23, 2018, the University of Toledo welcomed approximately 140 students from 34 schools for the University of Toledo Invitational Sales Competition at UT’s Savage and Associates Business Complex. The two-day event includes a career fair and coaching sessions. The role-play competition, geared toward non-senior sales and marketing students, had participants take on the role of a salesperson, selling a product by program sponsor 3M, that takes them into a series of meetings and interviews where they make their sales pitches. The students are then judged on how well they present themselves to the buyer, along with the product and its attributes. The coaching and judging panels consisted of volunteers ranging from recruiters to sales professionals to buyers. 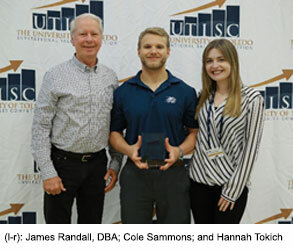 This year, the Georgia Southern team, which consisted of Cole Sammons and Hannah Tokich, from the College of Business, placed 14th in the overall competition, while Sammons placed seventh in the individual category. By participating in this sales competition, Sammons and Tokich were able to gain invaluable experience in interviewing and role-playing exercises. Sales is a broad industry; however, the students who presented during the sales competition are working toward careers in the business-to-business sector. Students participating in the sales competition are able to develop their skills and network with industry professionals, which often leads to internships or employment upon graduation. 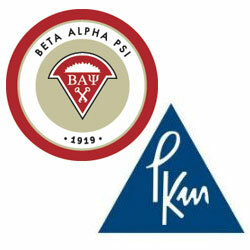 Following the Eagle Expo Career Fair on Wednesday, February 28, 2018, the School of Accountancy hosted the annual Porter Keadle Moore (PKM) Etiquette Dinner for its student organization, Beta Alpha Psi. During the dinner, students played games that made them think about what utensils to use and what to say or what not to say at a business dinner. This allowed for team building and the opportunity for students to get to know one another better as well as learning from the PKM representative at their tables. 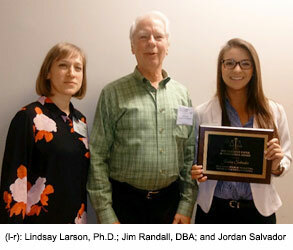 Jordan Salvador, senior honors marketing student, presented her capstone research project, “Beyond Higher Ed Marketing: Unsanctioned User Generated Content,” at the Association of Marketing Theory & Practice conference in Ponte Vedra, Florida, March 15-17, winning the conference’s Best Student Paper award. Lindsay Larson, Ph.D., associate professor of marketing, as Jordan’s advisor, invited her to present during the annual conference. Jordan’s paper was one of about 15 submissions in the Student Papers category, and she was the only undergraduate who submitted a paper. The Association of Marketing Theory and Practice is an international academic marketing conference that focuses on bringing together both academic theory and real-world marketing practices. Participation in the conference is encouraged for both business professors and business managers and aims for an inspiring environment in which faculty and doctoral students as well as practitioners can share ideas, build research streams and develop partnerships for future projects. 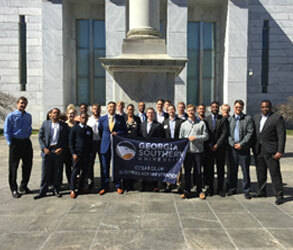 Members of the Georgia Southern University Finance Association visited the Federal Reserve Bank (FRB) of Atlanta on Friday, March 2. Twenty students participated in the group’s first-ever visit to the FRB-Atlanta. The Federal Reserve Bank of Atlanta, based in Atlanta, Georgia, is part of the Federal Reserve Bank System of the United States and one of 12 Reserve Banks in the U.S. The FRB-Atlanta is in the sixth district and includes Florida, Georgia and Alabama, along with portions of the surrounding states of Louisiana, Mississippi and Tennessee. The FRB-Atlanta participates in and supports the overall missions of the Federal Reserve System. For more information about the Federal Reserve Bank of Atlanta, including internship/employment opportunities, visit their website at www.frbatlanta.org. On Friday, Dwight Blackwood, assistant general counsel and assistant vice president of the FRB-Atlanta, started the visit with a discussion of the history of the U.S. Central Banking System, noting that the Federal Reserve System as we know it today is actually the third central bank in the U.S. Additionally, Blackwood reviewed the structure of the FED (Federal Reserve) reminding everyone that each Federal Reserve Bank is actually a privately-run entity and is not funded or run by the government (federal or state). He also talked about the different characteristics of each regional Federal Reserve Bank across the country (12 FED Districts) and the roles they play in monetary policy, check clearing and supervision and regulation of financial institutions. As he wrapped up his presentation, Blackwood included remarks about the Federal Open Market Committee (FOMC) and the Board of Governors. Next, the students toured the Atlanta FED’s “Money Museum,” which contains a variety of exhibits including information about anti-counterfeiting technologies used through time for paper currency, the history of currency from the days of bartering to today, and other relevant information. The visit included a view of the cash room where money comes into the FED and is subsequently inspected, counted, sorted and destroyed if necessary. The final stop on the tour was a visit to the FRB-Atlanta’s board room where the board of directors for the Atlanta FED meet. The directors discuss important information related to the regional economy, which the FED President takes into consideration before providing his viewpoint at the FOMC meetings. Marion Williams, staff director in Community Bank Supervision, joined the group for this part of the visit. Participants were treated to an excellent lunch in the FRB-Atlanta cafeteria, courtesy of the Atlanta FED, to conclude the visit. The members and advisors of the Georgia Southern Finance Association would like to thank Audrey Williams from the Federal Reserve for all of her help organizing the visit as well as the College of Business Dean’s Office and the Departments of Finance and Economics for their financial support. Pretty much everyone dreams of starting or owning a small business at some point in her or his life. Doing it successfully can be very rewarding. However, there can be many sleepless nights as a business owner. The same goes for starting a business. Most people struck by the entrepreneurial spirit have a unique idea or great technical skills but very little marketing, management or financial skill. For most, it takes every penny they can scrape up and borrow just to get the business off the ground. Even though hiring professional help like a consultant or mentor should be on top of their list, it often gets pushed way down. Wouldn’t it be amazing if you could bring on board highly educated and talented business consultants to help you? Best yet, what if they were free? I know this sounds like one of those late night infomercials and the catch is coming, right? This time it is not too good to be true – it is true. 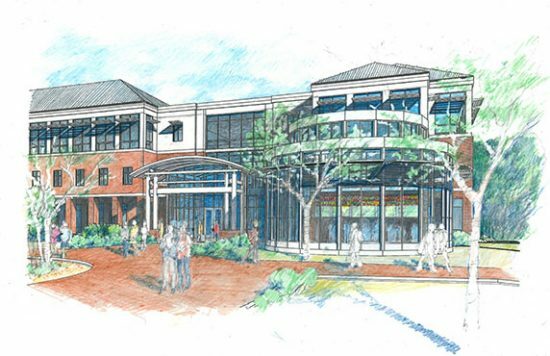 A few years ago, Georgia Southern University’s College of Business made a commitment to have a presence downtown. Known as the “city campus” adjacent to city hall on main street, the campus houses a wealth of resources for our community which come under the Business Innovation Group (BIG) umbrella. BIG is led by Dominique Halaby, DPA, who is recognized internationally for his work in business innovation centers and business development. He had a vision of creating a one-stop shop for small business owners and entrepreneurs. There are currently seven entities housed together, which together make BIG tick. Each of them bring different resources to local entrepreneurs. Three provide critical resources that every business should be engaging, which includes the Small Business Development Center (SBDC), SCORE and the Veterans Business Outreach Center (VBOC). “Our goal is to help create a platform and ownership of driving the EcoSystem for entrepreneurship for Bulloch and the region,” said Halaby, BIG Director. “We understand how challenging starting or owning a business can be. Bring us your ideas, and let us help you figure out the rest”. This is the first time that all of these key partner agencies have been brought under one umbrella. The model has garnered the attention of the Small Business Administration (SBA) and others nationally because of its success. 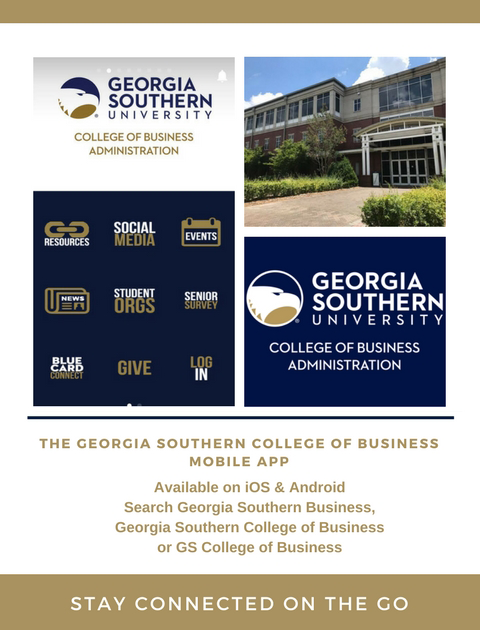 The SBDC is a unique partnership with Georgia Southern and The University of Georgia. There are 17 similar offices in Georgia. The Statesboro office is led by Valerie Cote and covers the Statesboro and Savannah Market. One of the vast tools in the Center’s tool kit is providing you the resources to help guide you through SBA-backed loans. They want to help you grow your existing business and give you tools and resources you need to take your business to the next level. They also have a statewide network to help connect you with others in your industry so you can benefit from best practices. SCORE is a mentoring program led by a volunteer director, Gary Johnson, who is a retired executive. SCORE pulls in volunteers from all areas of business, many of whom are retired and looking for new challenges. They match mentors with local businesses or entrepreneurs to help them get their business off the ground or take it to the next level. Dr. Rick Stapleton, the retired director of the College of Business’s Small Business Institute and Jeff Gramm, a local realtor, are two locals who are available for mentoring. SCORE is looking for others to join them in building the local chapter. This is a wonderful opportunity for successful business owners or retired executives to give back. The VBOC is led by Jeremy Horstman who is also currently serving as a major in the Georgia National Guard. This center serves the entire state of Georgia and South Carolina with a goal to assist transitioning service men and women and their families back into civilian life. The Center gives veterans the tools and resources needed to start their own business. The Veterans Center recently partnered with the Coastal Worksource Georgia in creating a pilot Veterans Entrepreneurial program. The program is specifically designed for veterans and allows them to learn every part of the process of starting a business. From writing business plans to learning about loan documents and other critical areas of business knowledge needed to ensure success. Also, each veteran is matched with a mentor. The hope is that the veteran will launch a business at the completion of the program. Some of you are probably still wondering how this can all be free. The leaders who designed these programs understand that, in the end, if your business is successful and continues to grow, then you will contribute back to our local economy in a variety of ways. More importantly, as your business grows, you will need more employees creating more opportunity for others. To learn more about the City Campus and Business Innovation Center visit their website at GeorgiaSouthern.edu/business/big or stop in at 58 East Main Street, Suite D.
Synovus, the Columbus, Georgia-based financial services company, recently announced the winners of its annual Chairman’s Awards. 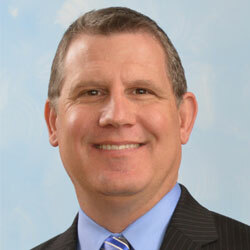 Darron Burnette (FINC, ’88), Synovus’s Statesboro-based division CEO, received the James H. Blanchard Leadership Award. 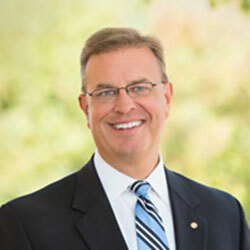 Burnette joined Sea Island Bank as executive vice president in 2002 and was appointed division CEO in January 2017. The James H. Blanchard Leadership Award recognizes individuals who demonstrate the best use of leadership and interpersonal skills such as teamwork, communication, and coaching in various corporate, departmental, and community roles. It was named after retired chair and CEO James H. Blanchard, who set a high standard for leadership throughout his 36-year tenure at Synovus. He fully engages in such a way that whatever the cause – his leadership, passion, and commitment leave each one notably enriched. He works tirelessly to improve our community, using his inclusive, optimistic, and encouraging style to bring diverse interests together for the common good. His leadership is defined by both inclusion and effectiveness – an outcome that takes remarkable interpersonal skill to achieve. He is not one who is waiting for someone or something to happen. He is the one who is making it happen. If it has value and benefits our county, he’s involved in it. The James H. Blanchard Leadership Award, the James D. Yancey Customer Covenant Award, the William B. Turner Community Impact Award and the Synovus Game Changer Award honor team members who best represent the company’s culture and its focus on leadership, customer satisfaction, serving others, and innovation. Winners of the awards, which are collectively known as the Chairman’s Awards, are selected from nominations submitted by team members across Synovus’ five-state footprint. Synovus Financial Corp. is a financial services company based in Columbus, Georgia, with approximately $31 billion in assets. Synovus provides commercial and retail banking, investment, and mortgage services through 250 branches in Georgia, Alabama, South Carolina, Florida, and Tennessee. Synovus Bank, a wholly owned subsidiary of Synovus, was recognized as the “Most Reputable Bank” by American Banker and the Reputation Institute in 2017. Synovus is on the web at synovus.com, on Twitter @synovus, and on LinkedIn at http://linkedin.com/company/synovus. 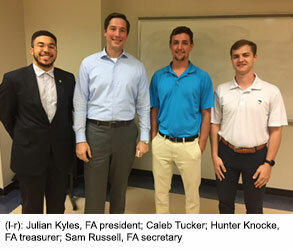 The Georgia Southern University Finance Association continued its Guest Speaker Series on Wednesday, February 21, 2018, hosting Caleb Tucker (ECON, ’11). Currently, Caleb works for Merrill Lynch as an investment analyst for the Global Corporate and Institutional Advisory Services Team in the Atlanta, Georgia, office. A Chartered Financial Analyst (CFA®), he is a member of the Atlanta Society of Finance and Investment Professionals and serves on the board for Curing Kids Cancer and on the Young Professionals Board at the Auditory Verbal Center. Caleb briefly outlined his interesting path to Merrill Lynch, noting it did not necessarily take the route he expected. Caleb talked about the positions he held at various employers, specifically addressing the point that job titles relative to job duties are not universal. Being a financial analyst, for example, at one firm can be very different than holding the same position at another company. He encouraged students to (1) network, network, network, (2) differentiate themselves from others and (3) be confident during interviews. Caleb noted the importance of networking (with anyone and everyone) numerous times and said he regretted not getting to know his classmates better and recommended being a part of organizations that help facilitate personal/professional growth and development in college and beyond. Further, he encouraged all students to create a LinkedIn page and use it strategically to keep up with acquaintances, current and previous coworkers, and others met along the way because you never know who might be the connection for your next job or opportunity. Before wrapping up the presentation, he answered student questions related to the markets as well as crypto-currency. Headquartered in New York, Merrill Lynch is the wealth management division of Bank of America. Bank of America Merrill Lynch has key operations in more than 150 locations worldwide. In 2017, Merrill Lynch was managing more than $2 trillion in client assets. For more information, visit www.ml.com. The second Wednesday of each month brings BIG Café to City Campus in downtown Statesboro. During this event, local entrepreneurs and small business owners come together to network and to help each other solve business problems they may be encountering. 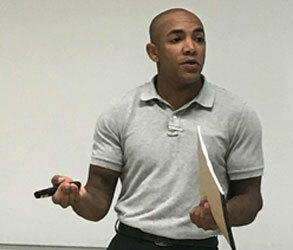 On March 14, Jordan Carroll, a U.S. veteran and student of the Veterans Business Outreach Center (VBOC), presented his company TechnoTitans LLC. TechnoTitans provides a speedy and dependable mobile repair service for dental tools and specialty dental equipment. Jordan explained that this niche market is a pay-to-play industry. He also explained that his biggest problem with the start-up business is ensuring that he does business properly with dentists and dental professionals. Jordan’s goal is to show the dentist that he/she can’t afford not to hire him to repair dental equipment based on affordability and fast service. Currently, he is canvassing the area to get into dental offices, offering on-the-spot service. It was suggested that he get involved with the Georgia Dental Association, along with other dental professional organizations, and to market himself as a veteran owned and operated business. If you are a small business owner, experiencing some problem and would like to get advice or ideas from other small business owners, BIG Café may be able to help. Not only is it a place to bounce ideas around, but it also provides a great network. If you’re not in Statesboro, join on Facebook Live. On Friday, March 2, Yoon Hee Kim, Ph.D., assistant professor of operations management, and Stefan Sleep, Ph.D., assistant professor of marketing, presented their research during one of the 2017 Summer Research Grant Seminars held in the College of Business. Kim’s research, titled “Supply Chain Integration and Outsourcing Efficiency: The Effects of Product and Process Integration with Customers and Suppliers, and the Moderating Role of Cross-Functional Collaboration,” examines the effects of supply chain integration (SCI) on contract manufacturing efficiency using the objective measure of return on contract manufacturing. This research uses finer-grained dimensions of SCI by separating integration activities depending on their purpose for either product development or process improvement. Sleep presented his article, “Is Big Data Driving Cooperation in the C-Suite? The Evolving Relationship Between the CMO and CIO,” which explores the impact of the relationship between the chief marketing officer (CMO) and chief information officer (CIO) and decision making that increases business performance. With technological improvements, the roles of the CMO and CIO have been elevated while increasing their dependence on each other. Typically, the CMO and CIO often fight for recognition and impact on strategic decision making within the top management team – if they are included at all. When the two executives cooperate, it leads to strategically-aligned decisions that increases business performance by integrating technology, data and the customer into strategic decision making. This article was recently accepted for publication in the Journal of Strategic Marketing. Congratulations, Stefan! Alan Mackelprang, Ph.D., associate professor of operations management and director of the logistics and supply chain management Ph.D. program, has been elected to the Decision Sciences Institute 2018 board of directors as treasurer. Alan joins the ranks with other faculty from Bowling Green State University, University of Tennessee-Knoxville, Michigan State University, Texas A&M University and Universita di Catania. Congrats, Alan! Jerry Burke, Ph.D., chair of the Department of Logistics and Supply Chain Management, has been elected V.P. of meetings on the executive board of Production Operations Management Society (POMS). He joins others from Texas A&M University, University of North Carolina-Charlotte, University of Richmond, University of Kentucky, Purdue University, University of Dayton, Western University (Ontario) and Macquarie University (Australia) on the board. Congratulations, Jerry! Omid Ardakani, Ph.D., professor of economics, along with his co-authors, Ehsan S. Soofi of University of Wisconsin-Milwaukee and Nader Ebrahimi of Northern Illinois University, had their paper, “Ranking Forecasts by Stochastic Error Distance, Information, and Reliability Measures,” accepted by International Statistical Review. They established connections between ranking forecast models by error entropy and introduce the notion of excess error for forecast errors of magnitudes larger than a tolerance threshold. They introduced the representation of the mean excess error. The empirical version of the mean excess error is compared with the mean squared error in ranking forecasting models in bond risk premia. Additionally, Ardakani and his coauthors, N. Kundan Kishor of University of Wisconsin-Milwaukee and Suyong Song of University of Iowa, published a paper entitled, “Re-Evaluating the Effectiveness of Inflation Targeting,’’ in the Journal of Economic Dynamics and Control. They estimated the causal effect of inflation targeting on macroeconomic variables using a semiparametric method to take into account the misspecification of parametric models. Their results suggest no significant difference in the inflation level and inflation volatility between inflation targeters and non-targeters after the adoption of inflation targeting. They find that inflation targeting enhances fiscal discipline in the industrial and developing countries. Congrats, Omid, on both articles! Hyunju Shin, Ph.D., assistant professor of marketing, received a 2018 Spring Travel Award from the Faculty Development Committee. With this award, Shin will travel to Paris, France, to present her research paper, co-authored with Mauro Fracarolli Nunes, Camila Lee Park and Valentina Carbone, “Back to the Future: Updating Logistics Service Customer Value through Green Transportation,” at the 12th International RIRL Conference in Logistics and Supply Chain Management in May. Congratulations, Hyunju! On Friday, March 23, Steven Charlier, Ph.D., associate professor of management, and Xinfang Wang, Ph.D., assistant professor of quantitative analysis, presented their research during one of the 2017 Summer Research Grant Seminars held in the College of Business. Charlier’s research, titled “Who Emerges into Virtual Team Leadership Roles? The Role of Achievement and Ascription Antecedents for Leadership Emergence,” examines the two pathways to leadership emergence – achievement (i.e., leaders’ behaviors) and ascription (i.e., leaders’ traits). This study simultaneously examined the incremental and relative importance of achievement and ascription antecedents to leadership emergence in teams across the virtuality spectrum. Wang presented, “Robust Optimization for Hurricane Preparedness,” which explores the concept of social cost (i.e., logistics, deprivation and fatality costs) to analyze the optimal deployment time, location and capacities of stockpiles for Points of Distributions (PODs) in hurricane preparedness. 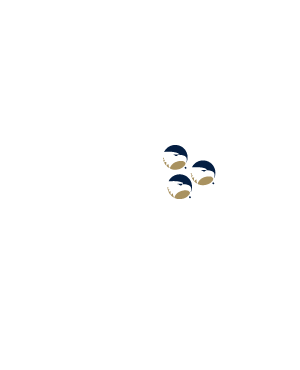 Once the optimal deployment time has been determined, a less conservative, two-stage robust optimization model with recourse actions are proposed to determine the PODs’ location, stockpile capacities and flow. Britton McKay, Ph.D., and Cheryl Metrejean, CPA, Ph.D., both associate professors of accounting, recently had an article, “Donation-Based Crowdfunding and Nontaxable Gifts,” published by the Journal of Accountancy. To read the article in its entirety, visit www.journalofaccountancy.com/issues/2018/mar/donation-based-crowdfunding.html?utm_source=mnl:cpald&utm_medium=email&utm_campaign=19Mar2018. Congrats, Britt & Cheryl! Jackie Eastman, Ph.D., professor of marketing, along with co-authors’ Sihem Dekhili, Ph.D., University of Strasbourg in France, and Raj Iyer, Ph.D., Bradley University, research proposal, “The Impact of the Motivation for Status on Ecological Conscious Behaviors: A Cross-Cultural Study,” has been accepted to be presented at the May 2019 AMS Conference and the 2019 AFM Conference. Congrats, Jackie!